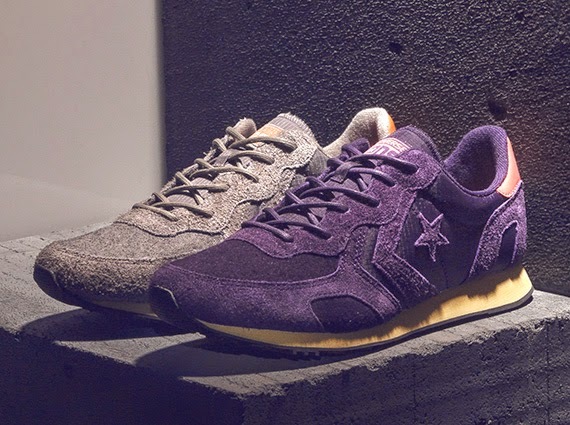 Converse present this exclusive Auckland Racer 'Winter Edition'. 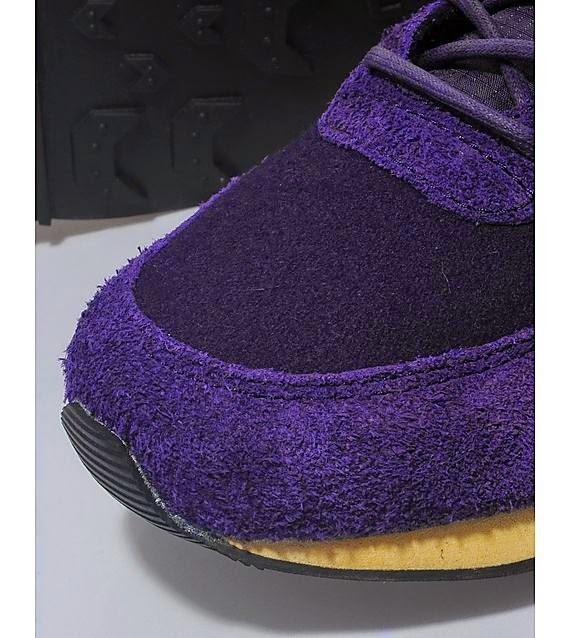 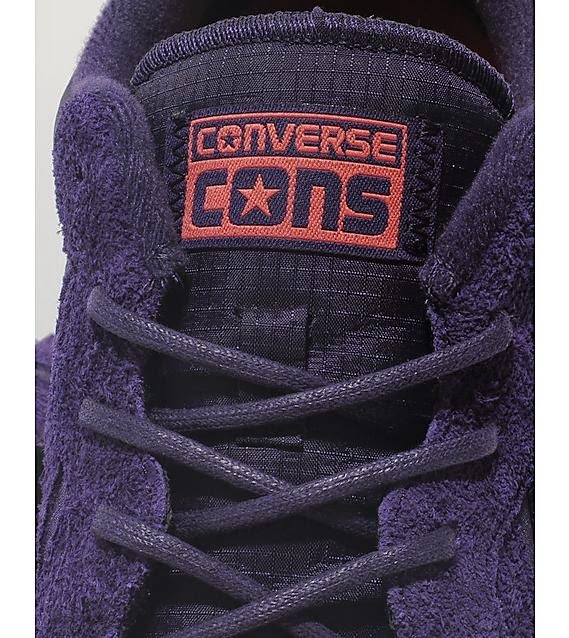 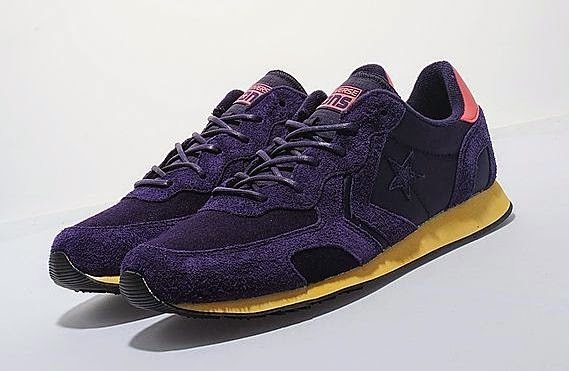 The shoe is presented in a purple upper with ripstop material used on the side wall and tongue, tonal brushed suede overlays on the toe, heel and lace surround plus tonal Converse star and chevron branding to the side and a wool toebox. 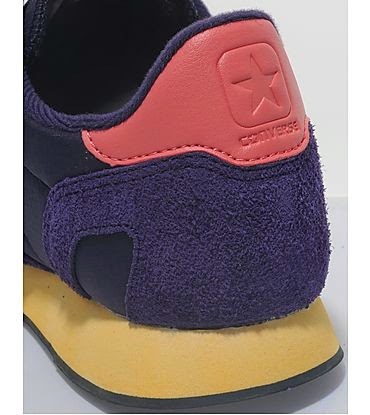 The shoe is sat on a vintage yellowed midsole with black outsole and is finished with a coral leather heel panel with debossed branding plus a coral Converse brand tab to the tongue and round, tonal laces.